Did you miss us at Automate 2017, the leading Automation Show in North America? 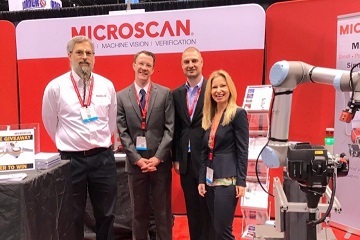 Wondering what it was like to be a part of the Microscan booth? Well I’m here to fill you in on all the details – from solutions we showcased to presentations to videos. It seems as though everyone in our business has seen a flurry of activity within the first quarter of 2016. Our business is up across technology segments, vertical markets, and geographies. 2016 is shaping up to be a banner year for Microscan and the automation market overall. Microscan partner ISW GmbH organized a very successful open house on 13 March 2013 at their premises in Kaln-Reisiek, Germany. Microscan was proud to be part of the program and had the chance to meet with many industry professionals from Germany. During the event, the Microscan team gave a presentation about machine vision applications using smart cameras, focusing particularly on our Vision HAWK smart camera and AutoVISION 2.0 machine vision software. It's the start of a new year and Microscan is hitting the ground running! 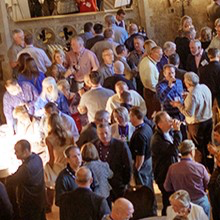 This past season provided us with plenty of momentum to propel us into 2013, including our 2012 "Grand Finale": a trip around the globe to host at four international tradeshows, exhibiting our latest auto ID (barcode) and machine vision products from Chicago to Shanghai.